Up to 7m wide and 4m projection! 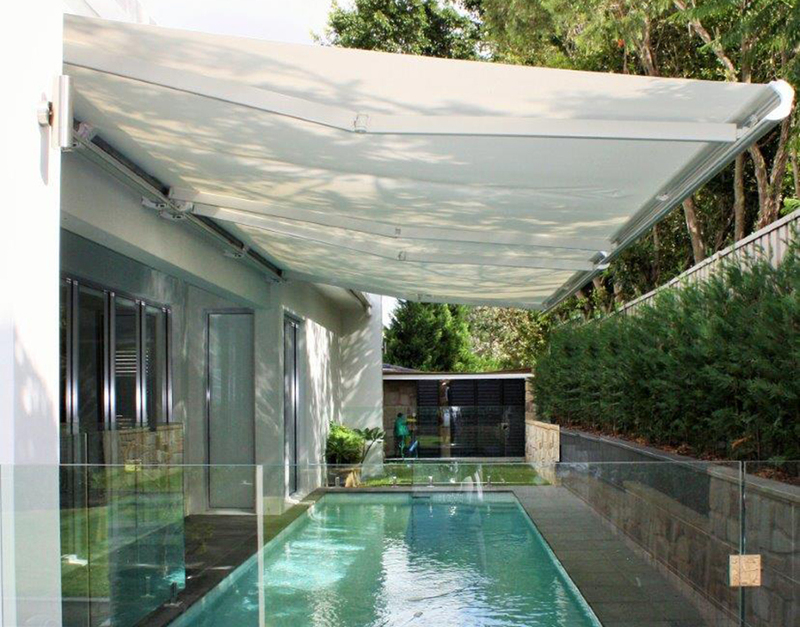 These are a clever way to provide shade, comfort, and protection from the sun for patios, balconies, windows, and doors. 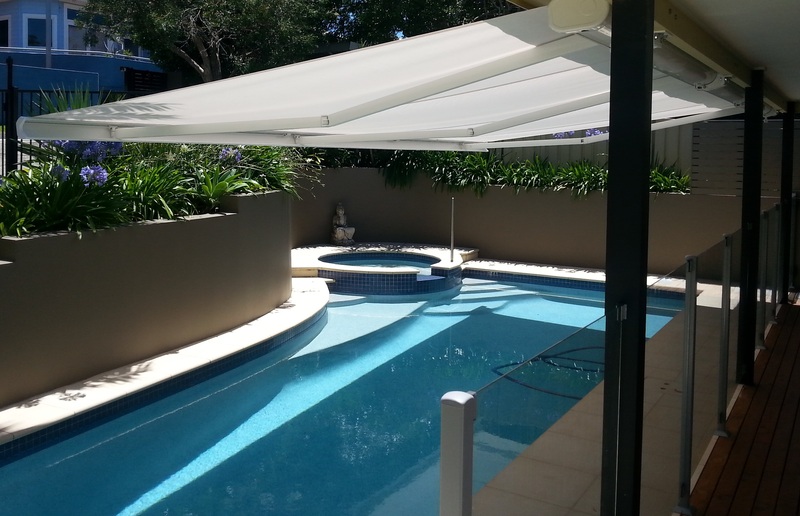 Our Exterior Sun Screens are the perfect solution to reducing the heat and light intensity in any room. 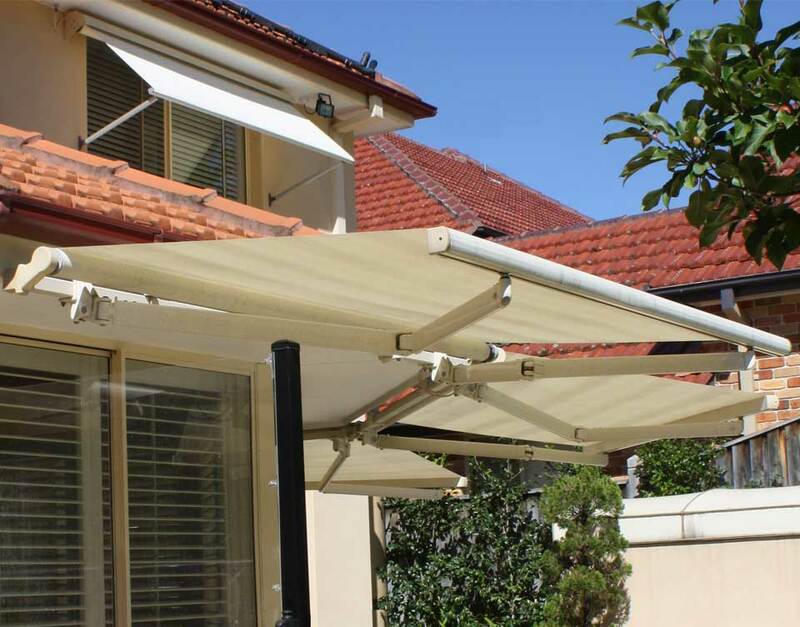 Folding Arm Awnings are completely self-supporting without posts and are fully retractable. 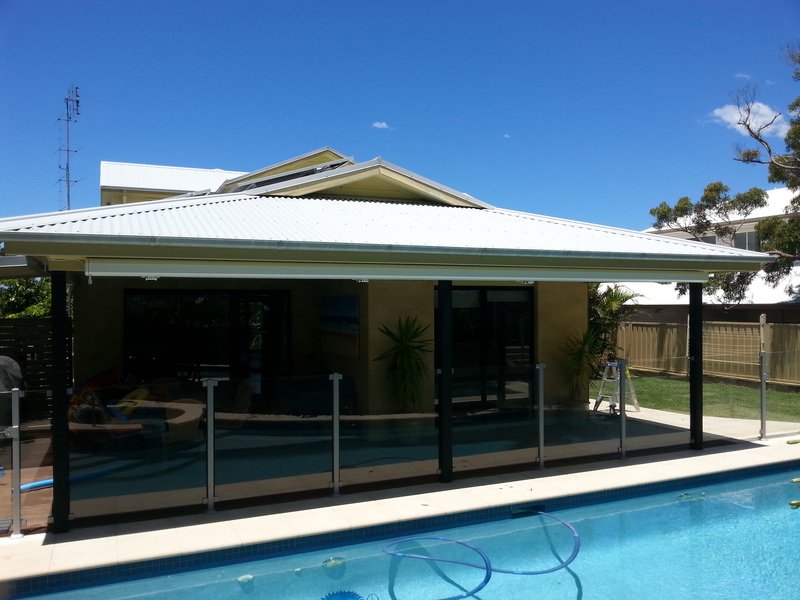 Exterior Sun Screens stop the Heat or Solar Gain and Glare before it hits you window. 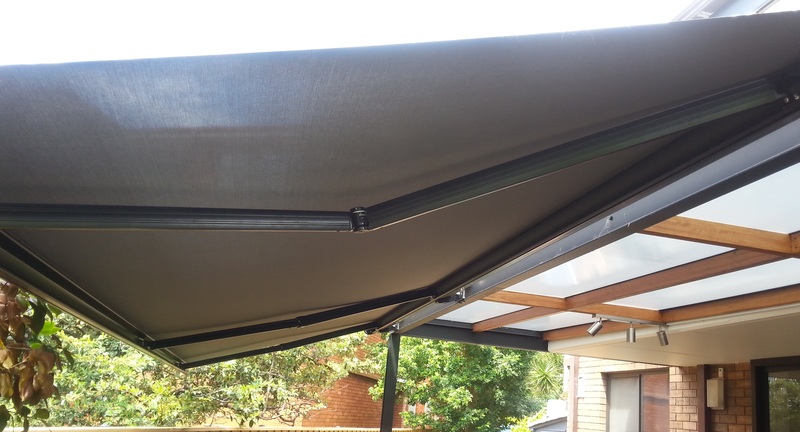 Full Cassette Folding Arm Awnings provide protection for the fabric when not in use. 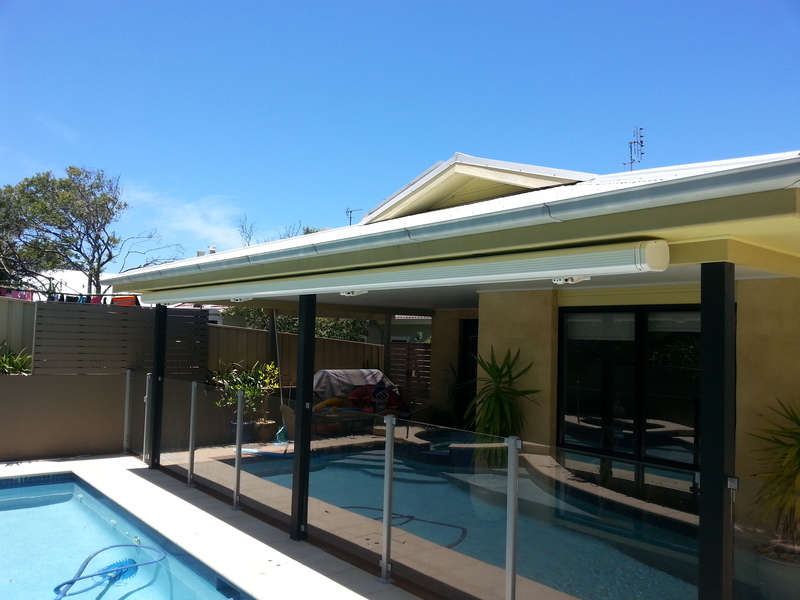 The cassette is a neat, unobtrusive architectural feature that can be custom Powder Coated to suit your exterior. 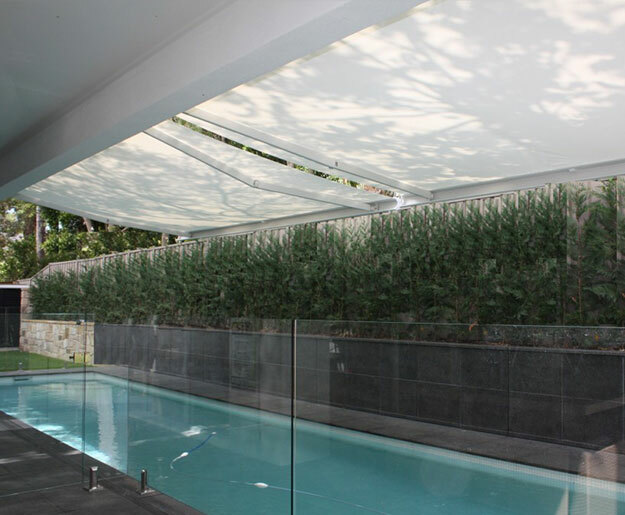 A wide range of Fabrics can be used giving pleasant filtered light to a complete darkened room perfect for TV or Movie viewing. 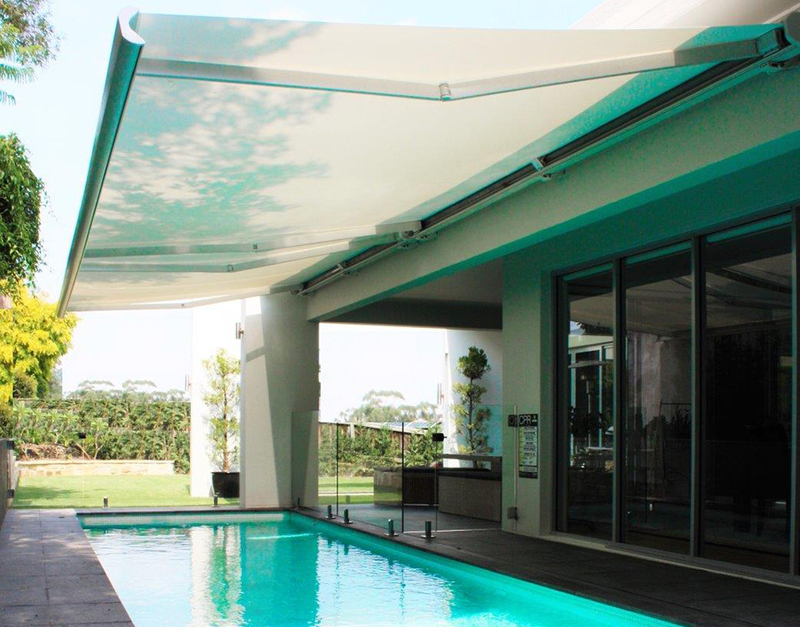 Fabric rages include Pheifer, Ferrari, Dixon, Brella and Hunter Douglas as used in Luxaflex Awnings. 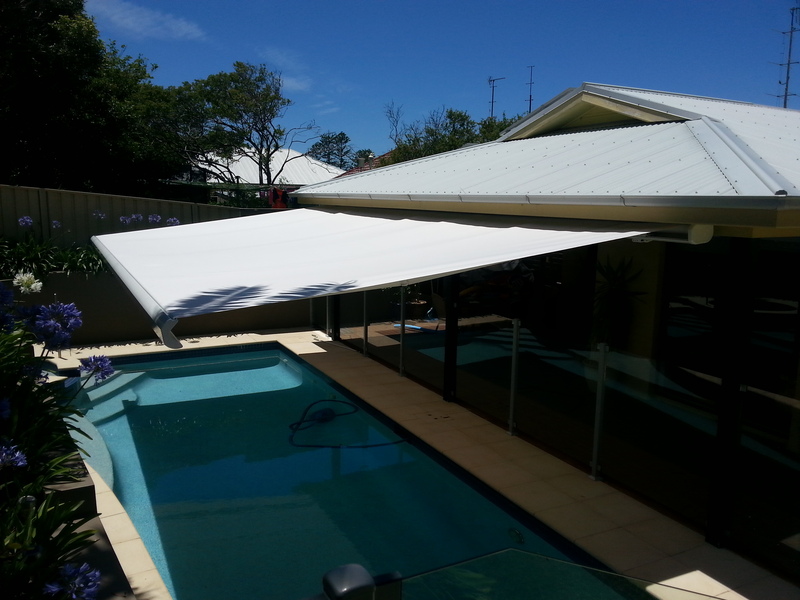 Sun Screens can also be used to “close off” a patio area from Sun, wind, rain and heat. 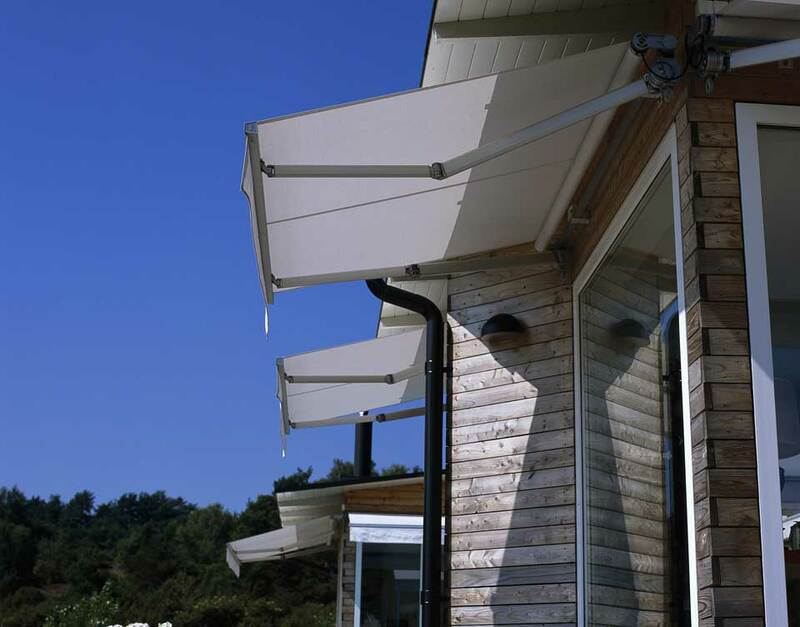 Automated sun and wind controls are available using famous brands like SOMFY and Nice. 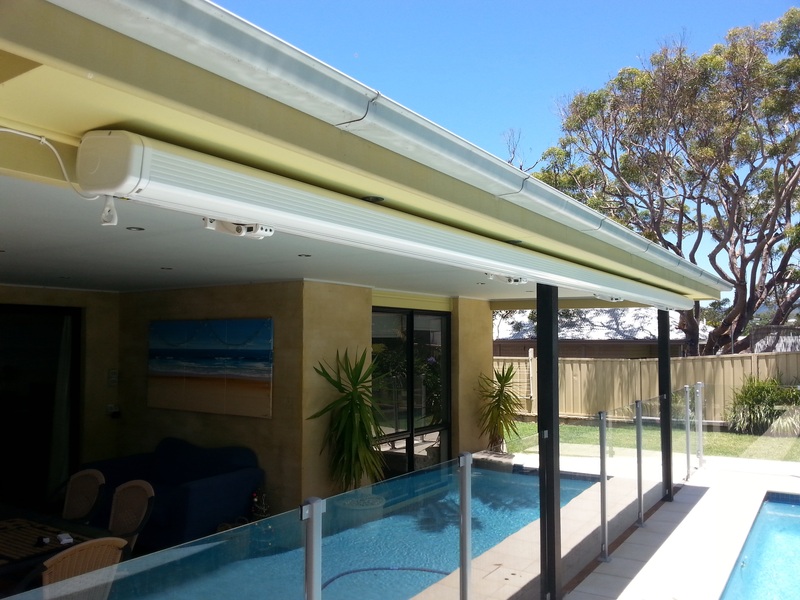 With Awning Automation, when the sun comes out, so does the awning. 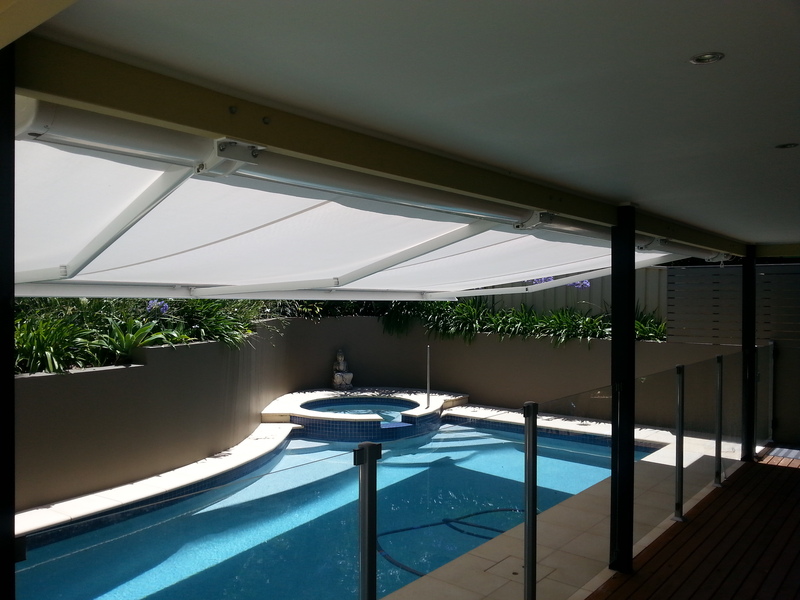 Motorised Awnings extend with the push of a button, sun sensor or timer, or it can be operated manually. 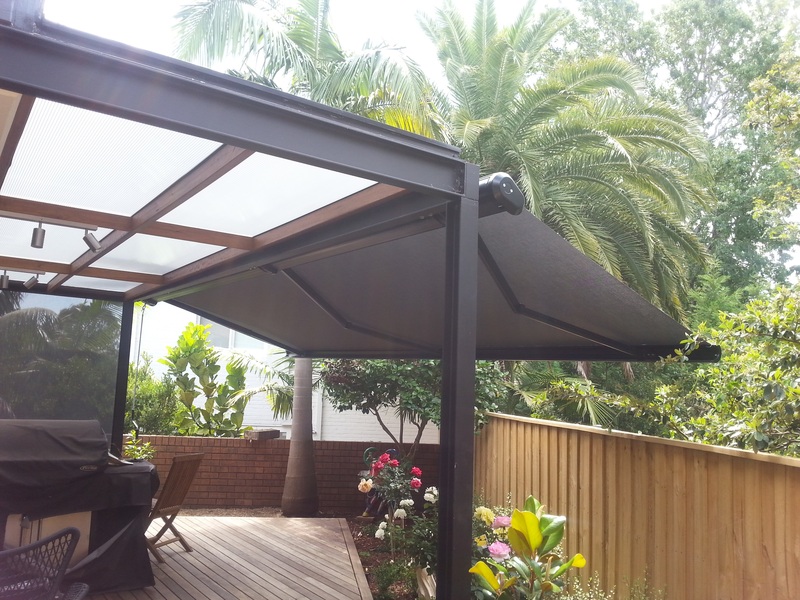 Get the shade you want, when you want it!